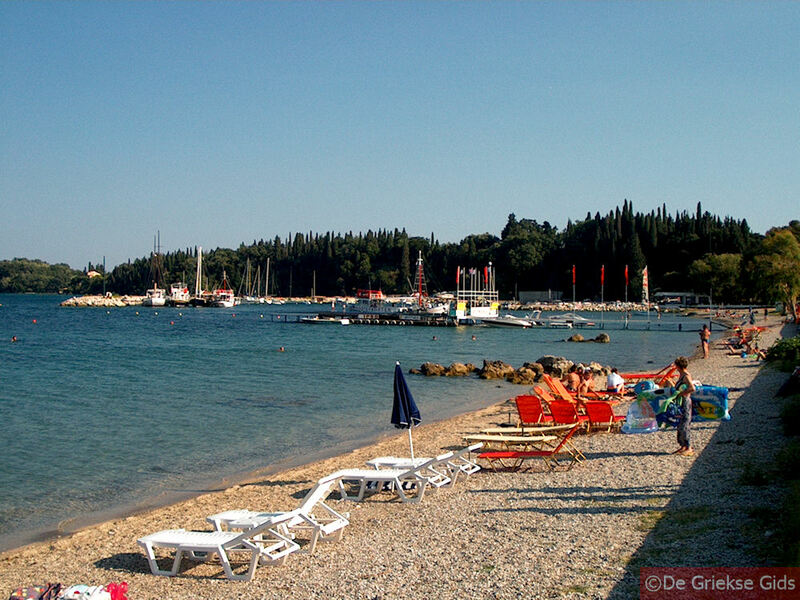 Ypsos, is also written as Ipsos, is a coastal resort on the north east coast of Corfu. 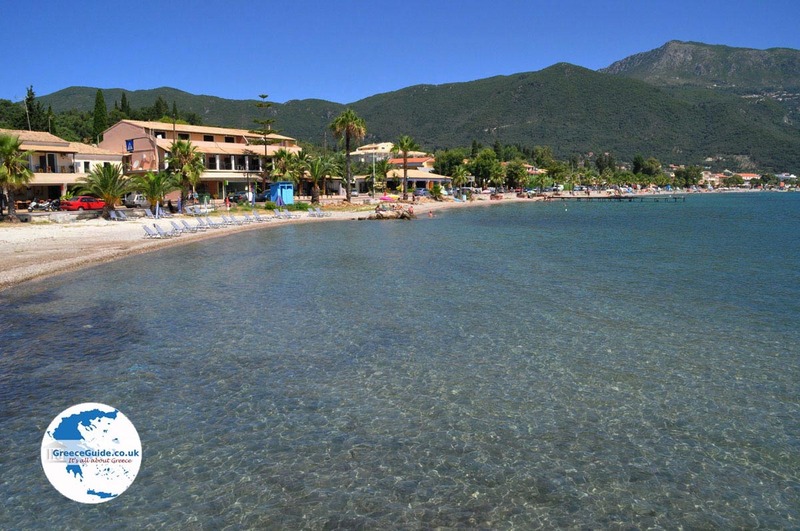 It is merged with the village of Pirgi because of the strong tourism growth in recent years. The name ‘Ypsos’ means ‘height’, while the village is not at all high. 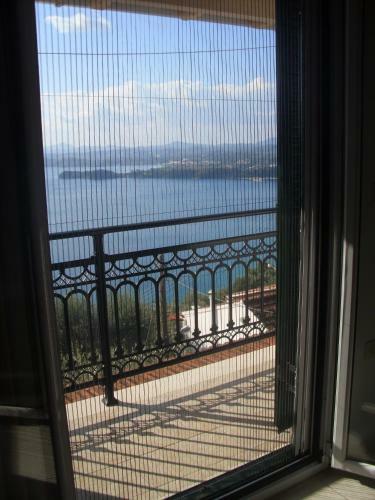 The name ‘Pirgi’ means lookout, while the village has no lookout. 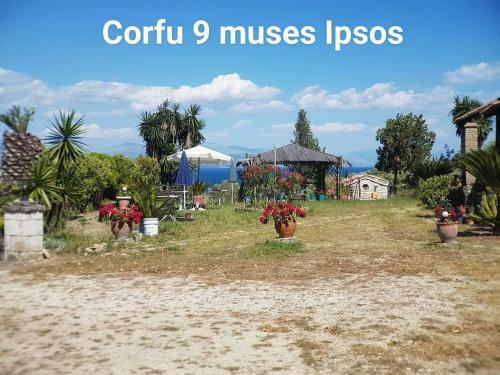 These names come from the time when the Turks tried to invade Corfu. People thought "if we call the villages like that, then the Turks won’t dare to come to the coast" ! This thinking must have helped because the Turks never occupied Corfu! 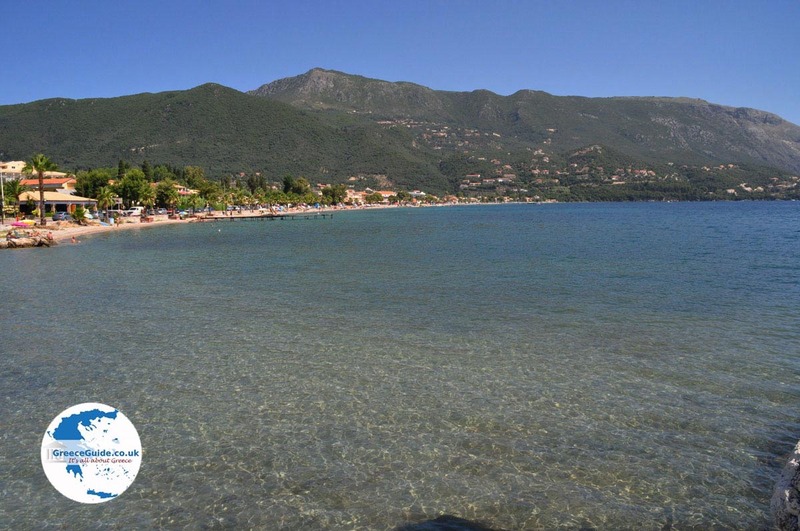 With the long pebble beach and the many English pubs and the restaurants with "fish and chips", Ypsos is a popular seaside resort for many young people especially in high season. In the low season it is more pleasant for families and the elderly people. There is a good bus service to Corfu town but you can also walk through the beautiful trails through the olive groves behind the village. 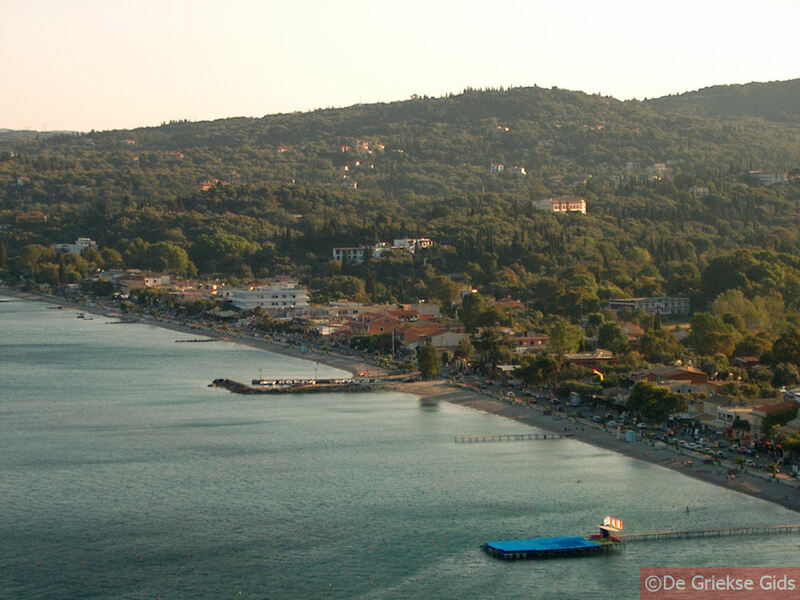 In Ypsos you’ll find many hotels, restaurants, a campground and shops along the bay. All kind of water sports are possible like water skiing and parasailing. There is a nice promenade next to dozens of restaurants and bars. The nightlife in Ypsos is great! 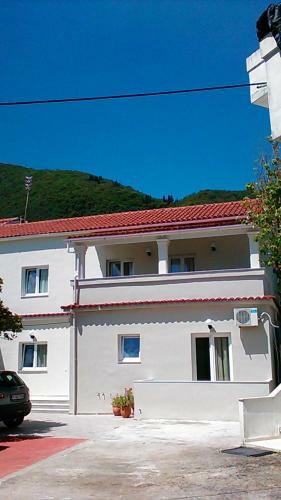 There is a friendly atmosphere, the cafes have a nice view of the Albanian and Greek mountains. 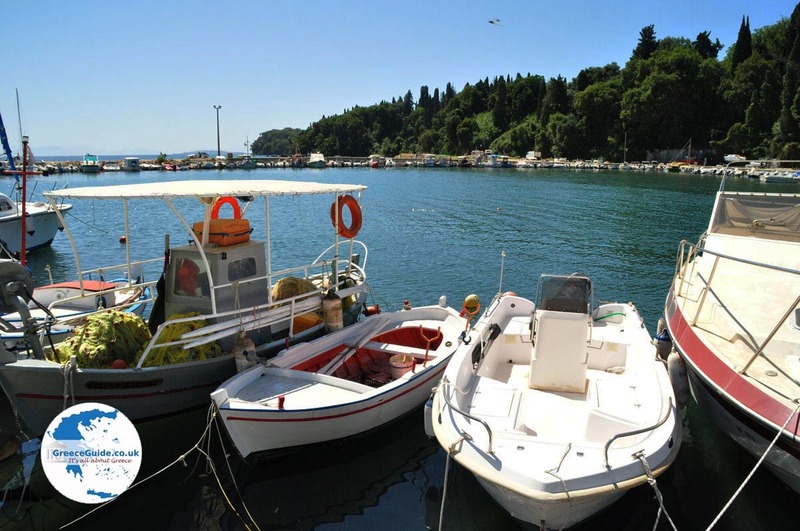 In Ypsos there is also a small harbour where boat trips organised to secluded beaches. 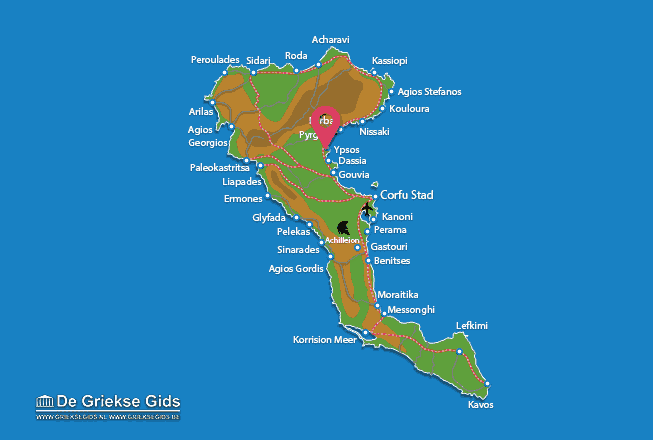 The villages of Dassia and Gouvia are only a few kilometres away. 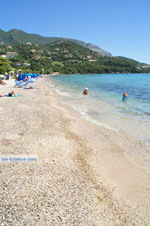 The beach of Ypsos is a pebble beach. Water shoes are a must. 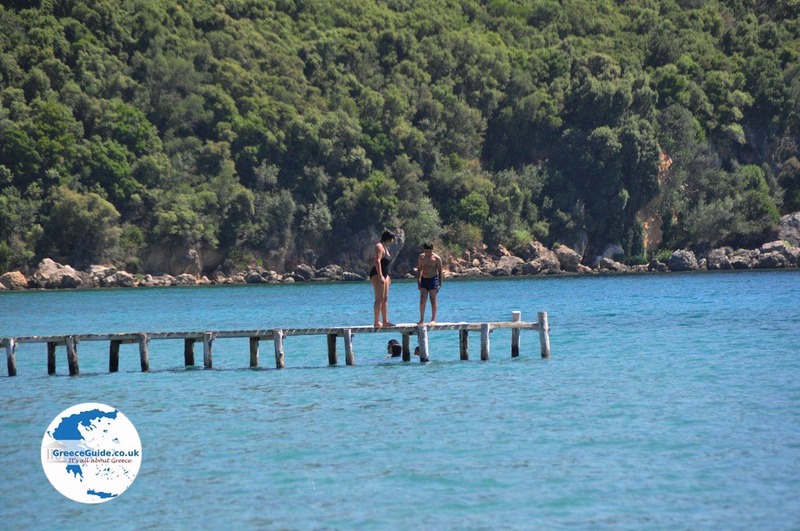 Because Ypsos is centrally located, it is a good base for excursions throughout the island. 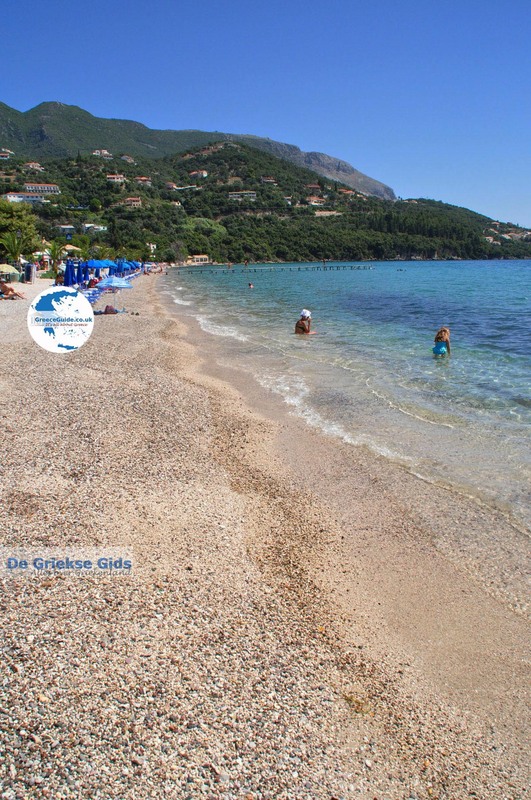 Corfu: Where on the map is Ypsos located?